Begin your adventure in the bustling city of Vancouver before embarking on a spectacular 7-night Alaskan cruise on the Celebrity Infinity. 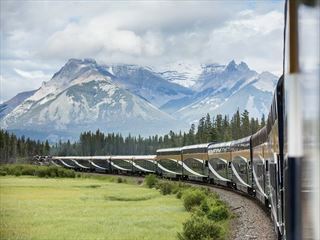 When the cruise ends, you’ll have a further two nights in Vancouver, two days on the renowned Rocky Mountaineer, as well as stays in Kamloops, Jasper and the beautiful town of Banff. 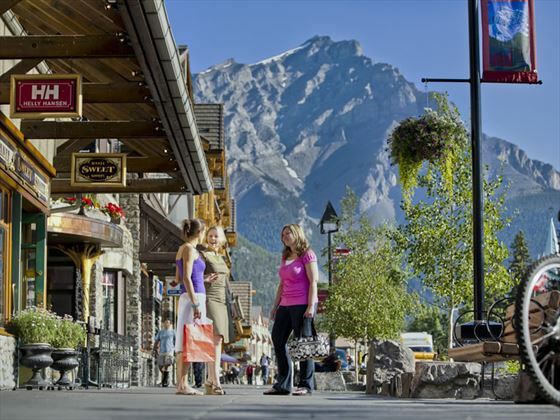 This itinerary is tailor-made and you can change hotels in Vancouver, Jasper and Banff. Arrive into Vancouver Airport and transfer independently to your hotel and enjoy the rest of the day at leisure exploring the city. You can either explore on your own or you can pre-book some excursions to make the most of your time here. Check out of your hotel and transfer independently to the Vancouver cruise terminal where you’ll board the Celebrity Eclipse and be welcomed by the crew, your hosts for the next seven nights. Spend time getting to know the ship and the various amenities, before watching the sun set over the water. Set sail this morning for one of the most spectacular stretches of water in the world – the Inside Passage. 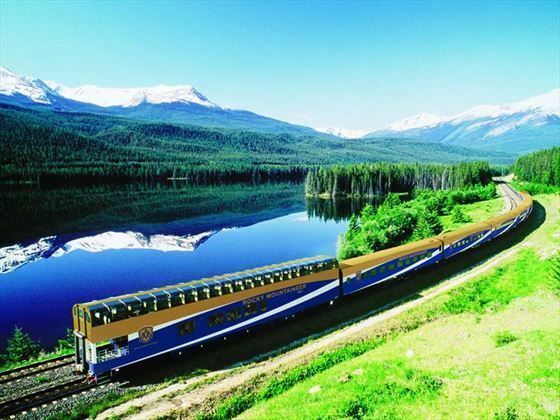 The delights of Alaska are waiting for you just beyond the deck rails, as forests, glaciers and fjords all reveal themselves to you along the way. 80km west of Juneau and found at the mouth of Glacier Bay lies the historic Icy Strait Point – a fantastic place to explore the unique Tlingit culture, view amazing wildlife and experience years of Alaskan history. Once again, enjoy ending the day watching the spectacular sunset from the ship. Possibly the only glacier in the world not moving at a glacial pace, the Hubbard Glacier is a unique geographical wonder. It’s the largest tidewater glacier on the North American continent and your destination for the day. Watch as the ship sails through the Yakutat Bay, a wealth of geographical history unfolding before your very eyes. 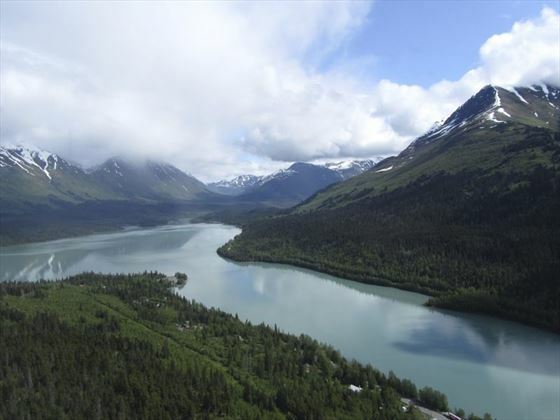 Juneau is a fascinating destination where eco-adventure meets contemporary culture and rich heritage. 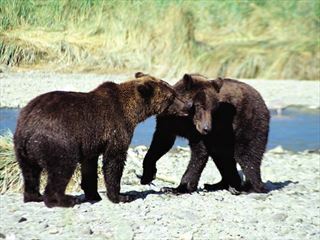 While you’re here, visit the Alaska State Museum or take part in an optional excursion offered by Celebrity Cruises. 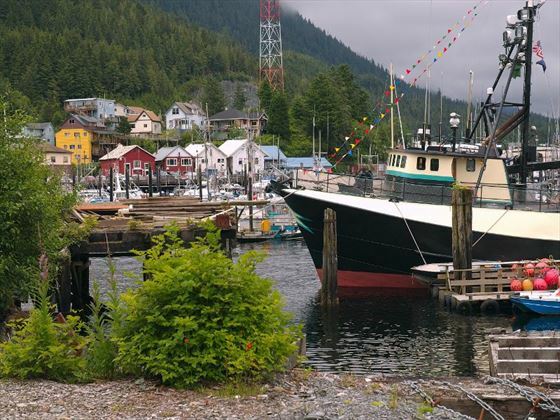 Cruise down the coast to Ketchikan today, the ancestral home of the Tlingit Indian tribe. There’s a strong connection to the aboriginal past here, making for a unique and interesting location to explore. This area is also the departure point for an optional seaplane excursion into the Misty Fjords National Monument and the pristine wilderness within this area. While you’re here, you may want to visit the Saxman Native Village, Totem Bight State Park or the Totem Heritage Centre. 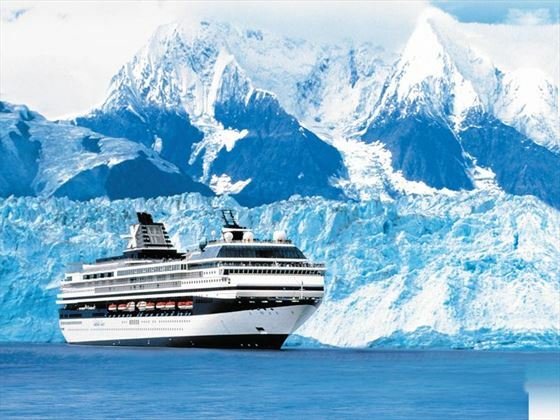 Today you will slowly retrace your voyage along the Alaskan and British Columbian coastlines, viewing the ever-changing landscape as it descends into the warmer climate of the Pacific Northwest. Early this morning, arrive into the port of Vancouver and disembark the ship. Transfer independently to your hotel which will be your base for the next two nights, giving you chance to explore Vancouver at leisure and see the sights. 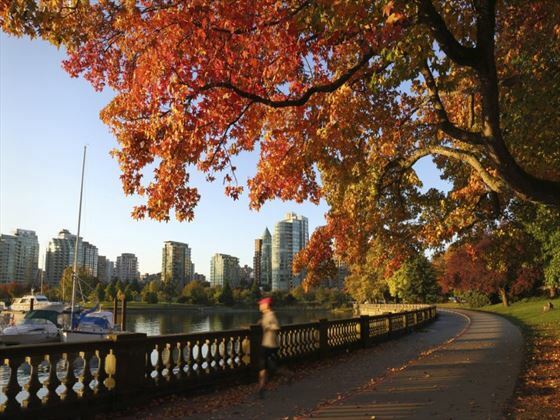 We suggest heading to Stanley Park, the Vancouver Aquarium, Capilano Suspension Bridge and Grouse Mountain while you’re in the city. If you’d prefer, sightseeing excursions can be arranged for you. 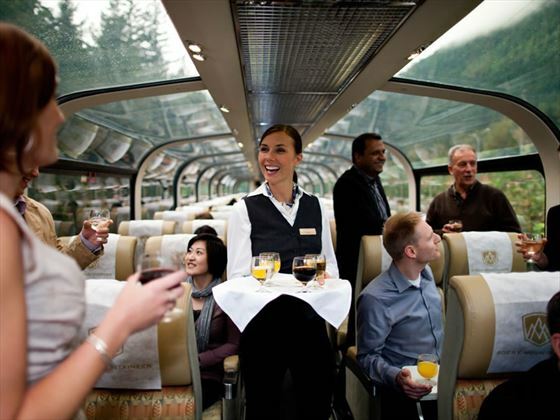 Travel independently this morning to the Rocky Mountaineer train station then set off on your journey to Kamloops. Along the way, you’ll pass the fresh countryside of Fraser Valley, Coast and Cascade Mountains and the desert-like scenery of the interior. Keep a watch for the rushing waters of Hell’s Gate in the Fraser Canyon and the shores of Kamloops Lake. 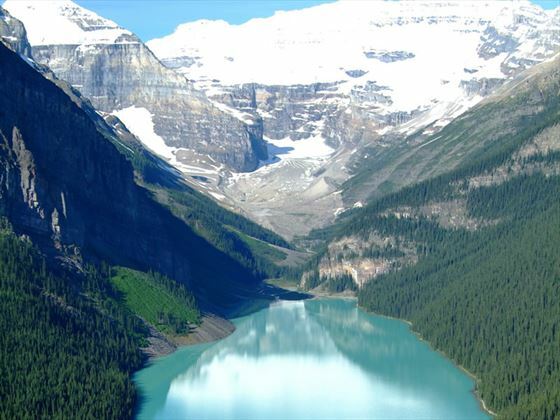 Head north today and east to the Canadian Rockies – Canada’s most famous landmark. You will be surrounded by breath-taking landscape as you make your way along the North Thompson River, through the Monashee and Cariboo Mountains as you climb the Continental Divide. The highlights of today include Mount Robson, the highest peak in the Rockies, the climb over Yellowhead Pass and Pyramid Falls. Your rail journey comes to an end as you reach the town of Jasper. Transfer independently to your hotel for the night. 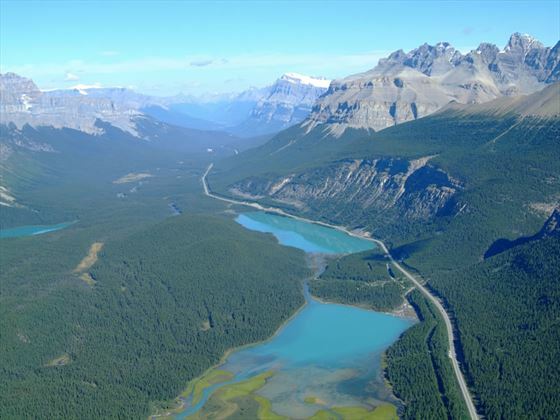 Travers the world-famous Icefields Parkway today through the splendour of Jasper and Banff National Parks. The scenery here is renowned for being stunning; a mix of turquoise lakes, mountain wilderness and pristine rivers, all against a backdrop of rugged mountains. The tour stops at the Columbia Icefield where you’ll head out onto the Athabasca Glacier in an Ice Explorer (included) – other brief sightseeing stops will include an opportunity to photograph Lake Louise. Spend today at leisure, seeing the sights in Banff. 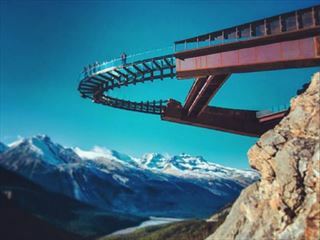 If you’d rather, excursions can be booked for you today including a ride on the Banff Gondola, a lake cruise or a visit to the Banff Hot Springs. Of course, you can simply relax and unwind in this peaceful and charming town. Today you will have an arranged transfer to take you from Banff to Calgary for your departing flight. Transfers from Vancouver airport to Hotel, return transfers from hotel to port and hotel to Rocky Mountaineer train station in Vancouver. Whistlers Inn in Jasper is next to the station in Jasper.